We all know that lifecycle management is about achieving the best technical, operational, and economic performance at all stages of the lifecycle, for any given asset. Landmark has taken this a step further by pulling it altogether with a single suite of applications on a single platform. This integration of lifecycle stages lets you work more efficiently in a systematic manner across every domain and points along the supply chain. Using DecisionSpace Geosciences, Large E&P operator has successfully lowered its review and analysis time on seismic survey data by 80% which has materially reduced the lead time to commence drilling. 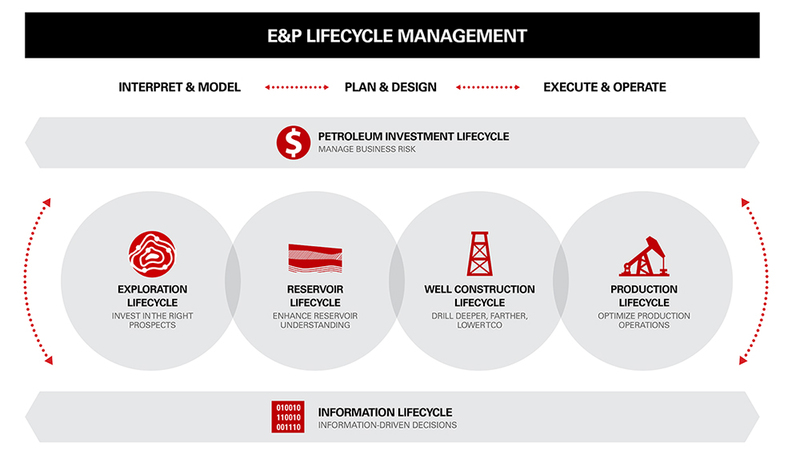 Workflows are an important part of daily life in the E&P world. All of the DecisionSpace Geosciences workflows are specially designed to assist with optimizing exploration, reservoir, and well construction lifecycle management. Some are brand new and others have been redesigned with this 10ep release, making them more relevant to the pressing market needs of today. E&P Search – Asset team members spend a significant amount of time finding, loading, and validating data. DecisionSpace Geosciences 10ep provides a GIS-based search workspace that provides ready access to all available data across the enterprise, so you can easily find and quickly get to work with relevant data, enabling more time for interpretation, petrophysical evaluation, earth modeling, or drilling. Petroleum Systems Modeling – As you build your prospect portfolio in DecisionSpace® Geoscience™ 10ep, perform quick basin screening and lead definition or assess connectivity and compartmentalization using proven Permedia® technology now embedded in the geologic interpretation component. 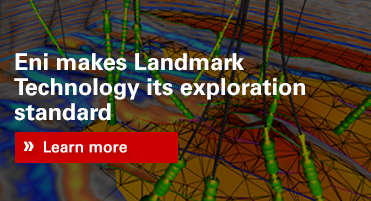 Integrated Petrophysics – Increase asset team efficiency by reducing the time you spend looking for and analyzing high-value log data, freeing up more time for reservoir characterization and formation evaluation workflows. The single platform of DecisionSpace Geosciences 10ep enables true multi-user and single-to-multi-well-to-field level capability from Borehole Data Management (BHDM) to Project Data Management. With information stored in one place, it can be promptly shared across the asset team, eliminating the need to shift, export, and manipulate borehole and log data from multiple stores. Redesigned Mapping Workflows – New DecisionSpace Geosciences 10ep capability takes proven ZMAP+ gridding and contouring algorithms and packages them in a new tool with interactive data analysis and filtering, advanced horizon merge options, surface shaping, and advanced map QC capabilities, so you can create more accurate maps faster. Automated Fault Interpretation – Fault interpretation can take up a significant amount of budgeted interpretation time, and any ability to augment this step can significantly reduce time while increasing quality. 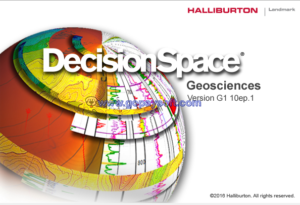 DecisionSpace Geosciences 10ep includes a suite of fault tools for automatic interpretation and validation of faults in a seismic volume, while also providing the ability to adjust and improve the results in an efficient way as a time-saving extension to the manual interpretation workflow. Earth Modeling – Asset modeling teams will greatly benefit from the integrated reservoir characterization solution which focuses on robust integrated workflows. Asset complexities and variability are captured in the 3D earth model and new natural fracture network modeling further enhances the interpretation through the earth modeling workflow for both conventional and unconventional reservoirs. With new local 3D grid updating asset modelers can fast track earth model grid updates with new well data helping to decrease not only modeling time but updates to operations who need the most up to date reservoir information for making timely decisions. Integrated Geoscience and Drilling Workflows – Whether your wells take 3 days or 3 months to drill, your ability to integrate geoscience and drilling can materially impact well planning cycle time and cost of drilling operations. Experience new capabilities to plan, design, and construct wells in a collaborative environment where geology, geophysics, and drilling can work together to make decisions in real time. 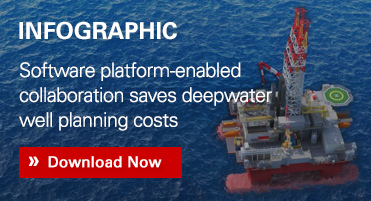 Mobile Geosteering – Even the best well plans require changes during drilling. Those changes must be fast, realistic, and correct. 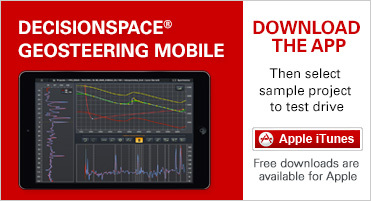 With DecisionSpace® Geosciences™ 10ep, geologists and drillers can geosteer towards the sweet spot using real-time logs from anywhere, anytime using any device including your tablet. Enhanced User Experience - At the end of the day, it’s not just about the data. It’s also about people who need to find and interpret the data. To support the breadth of workflows across the entire E&P lifecycle, targeted redesign to the user interface, learning, and support has been implemented. This simplification of the interface allows you to focus more effectively on the core tasks being performed, find and learn capabilities on demand, and get support directly from DecisionSpace Geosciences 10ep experts.